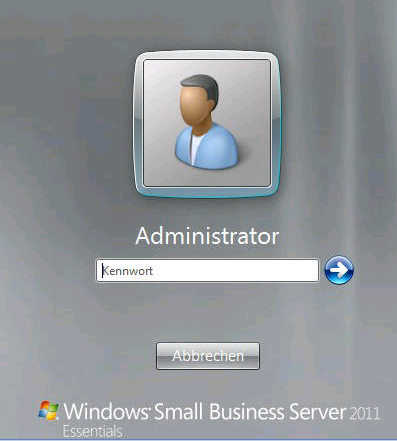 When you setup Microsoft Windows Small Business Server 2011 Essentials (SBSe) in Migration mode using the cfg.ini file and you do not specify the PlainTextPassword attribute/parameter/option in the CFG.INI Answerfile then the SBSe setup will run through smoothly, reboot and logon using the password just fine. If you reboot the server sometime later the administrator account would not be logged on automatically and you end up not knowing the automatically set password for the Account “administrator”. Knowing that, I was able to log on to the blocked SBSe install again. Of course I change the Administrator account password right away!